Worlds No.1 team India and hosts Australia will play their first match of the four-test series in Adelaide Oval on December 6 from 5:00 AM. After this, the remaining matches of the series will be played in Perth, Melbourne and Sydney. 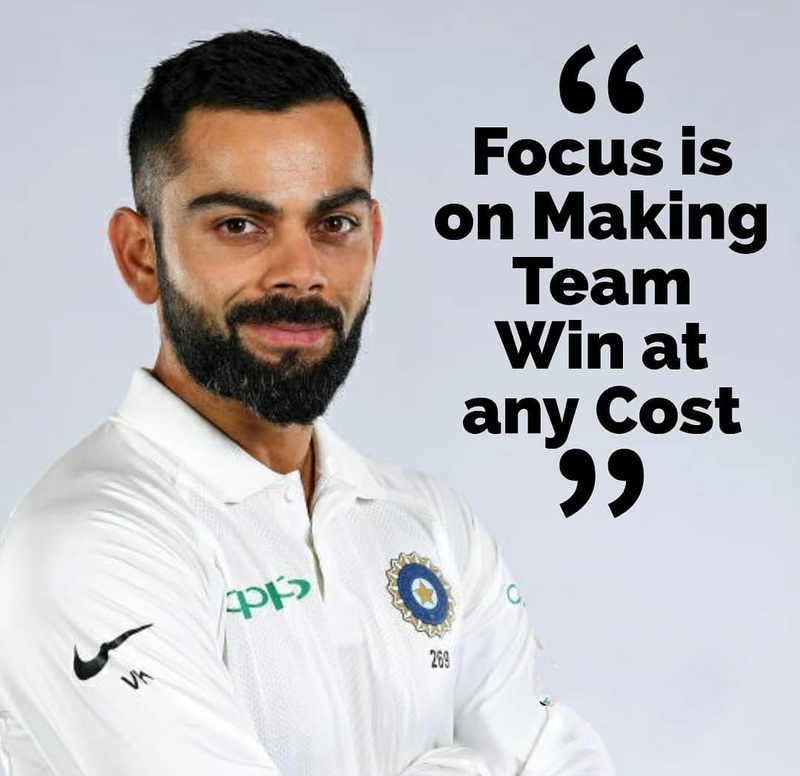 Before going into the series, the Kangaroo team has already started playing some mind game and looking at the buzz and anticipation from the fans, this series will be a trendsetter for both the nation's, while all eyes will be on Indian captain Virat Kohli and his records. 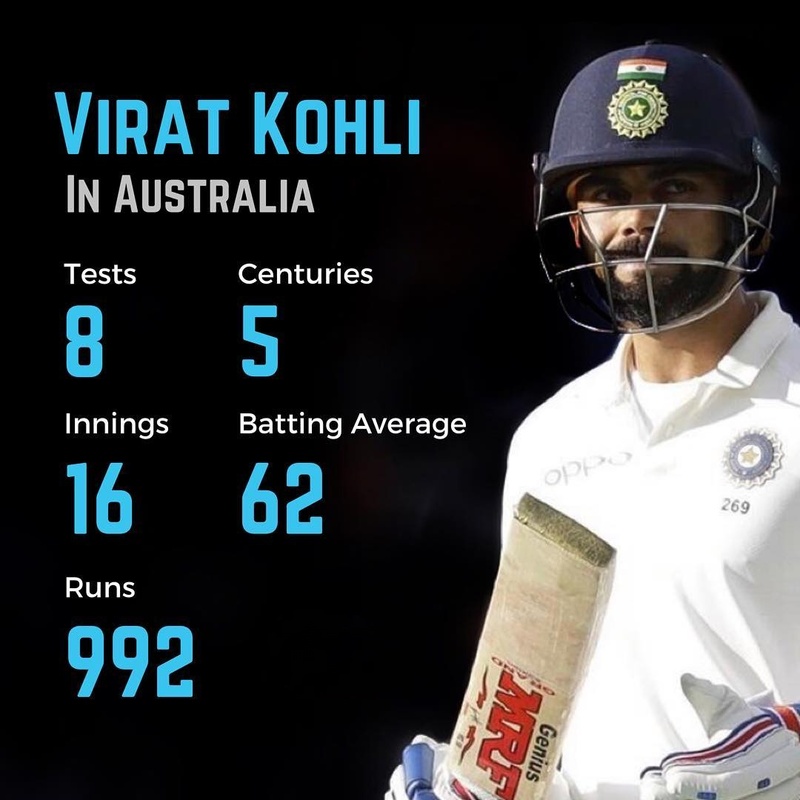 Virat Kohli has scored 992 runs in 8 tests matches in Australia, in which he has also scored 5 centuries and 2 half centuries, while his best score is 169 runs, which he made in 2014 at Melbourne Cricket Ground. Kohli is now only eight runs away from completing his 1,000 Test runs in Australia. 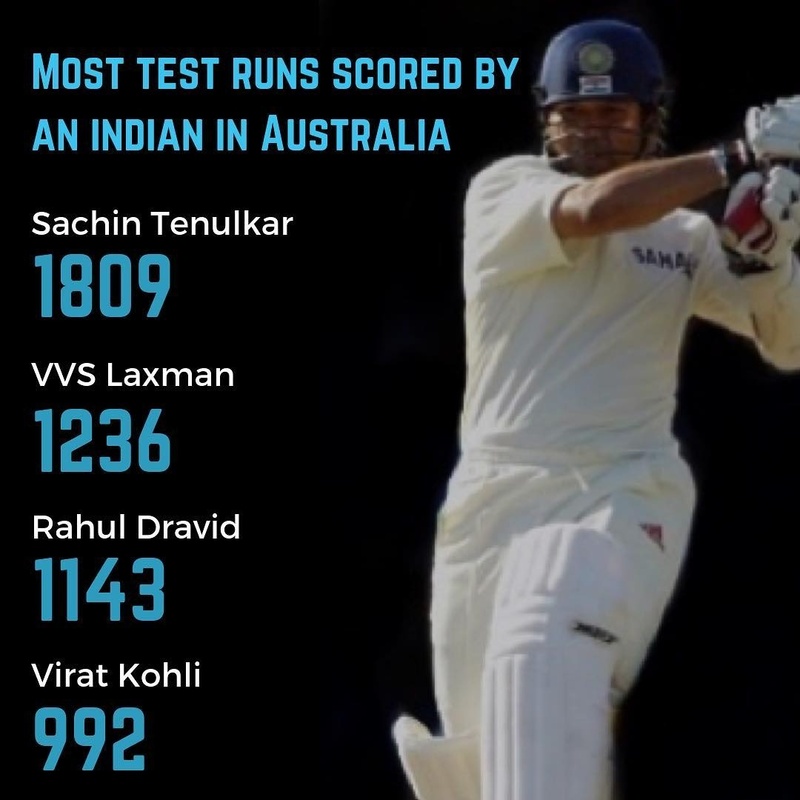 With the completion of 1000 Test runs in Australia, the Indian captain will join the list of former Indian greats like Rahul Dravid, VVS Laxman and Sachin Tendulkar who have scored 1,000 or more on Australian soil. Sachin is at the top with 1809 runs while Laxman has scored 1236 runs and Dravid has scored 1143 runs. However, Indian captain Virat Kohli had a great chance to leave Dravid and Laxman is this series, as he needs only 244 runs to leave both the legends behind. However, the record of most runs against Australia which is in the name of master blaster Sachin Tendulkar seems impossible at the moment.